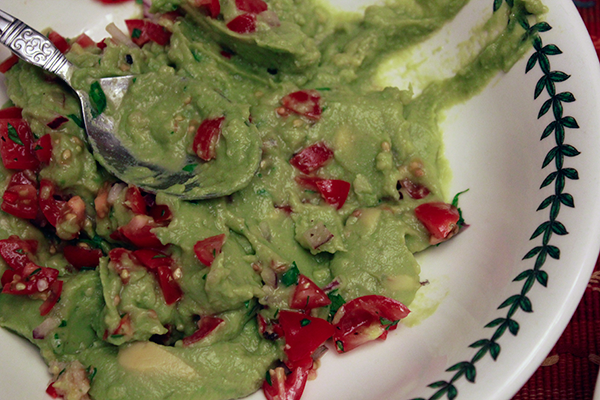 We never ate Mexican food growing up; Australia doesn't have the cultural heritage. But here in California Mexican food is everywhere. 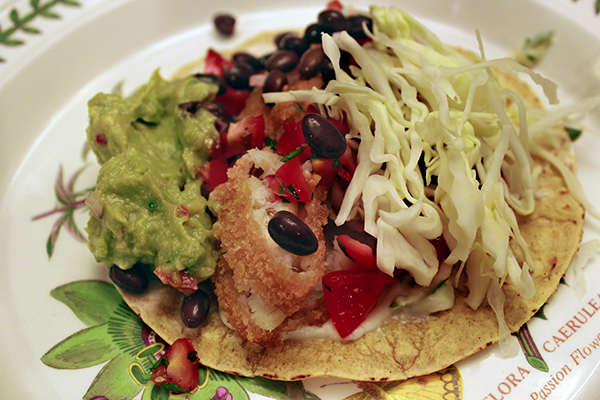 Here are our recipes for fish tacos, salsa and guacamole (Jane). Trader Joes panko breaded Tilapia fillets - 4 in a pack - allow 1 - 2 per person. 1. Bake tilapia fillets according to directions. 2. 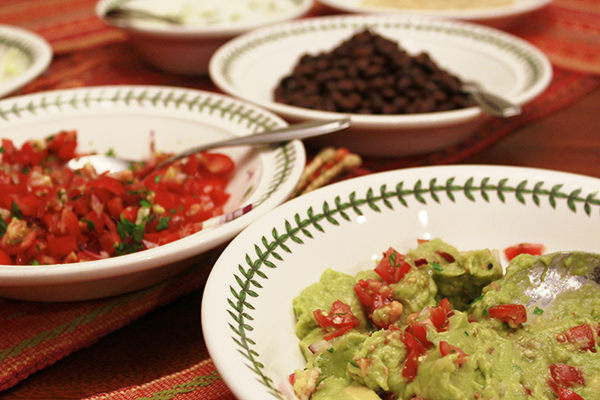 Prepare rest of ingredients - guacamole, salsa, white sauce and green cabbage and black beans. Tomato salsa: 1 - 2 cups of diced tomatoes, 1/3 cup of finely chopped onion, 2 gloves of crushed garlic, teaspoon of sugar, juice of one lemon or lime, 1 tablespoon of chopped cilantro, salt and pepper to taste. 3. Heat up tacos - we do them on a non-stick pan on the stove - a few minutes each side until they are just starting to brown. 4. When fish is cooked, slice into thin-ish pieces. 5. Put everything on the table - and make your own with the most of whatever you like! Optional extra: serve with some chipotle rice!